According to the International Business Companies Act 1994, a company in Seychelles can be registered with at least one shareholder which can be the same person as the director. The nominee shareholder is the official registered holder of the shares in an IBC (International Business Company) offshore in Seychelles. There are strong reasons why a nominee shareholder is necessary for your company in Seychelles, a matter where our specialist in company incorporation in Seychelles can offer support and information. • a set of share transfer forms. We remind that the nominee shareholders in Seychelles can be whether natural persons or other registered bodies. 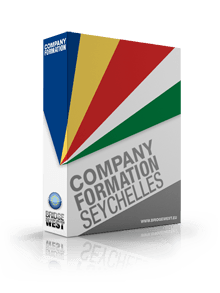 As for the company incorporation process in Seychelles, investors who want to set up an offshore are recommended to solicit assistance and guidance from our company formation representatives in Seychelles. The legislation in Seychelles regarding the business environment is favorable. It allows foreign companies to have beneficial owners without having to reveal any information about the identity. Furthermore, there is no need for a financial record displayed publicly for an offshore in Seychelles. Even though the beneficial owner and the nominee shareholder have different rights, we mention that the nominee shareholder may present himself/herself as the owner of the enterprise who must protect the real proprietor in cases of investigations or other issues in Seychelles. In this situation, the beneficial owner is not involved, and he/she is formally distanced from the nominee shareholder, but in certain circumstances may address to the authorities as the owner of the company with the help of private documents. If you are interested in nominee shareholder services in Seychelles and the responsibilities involved, please feel free to get in touch with our team of experts in company formation in Seychelles.